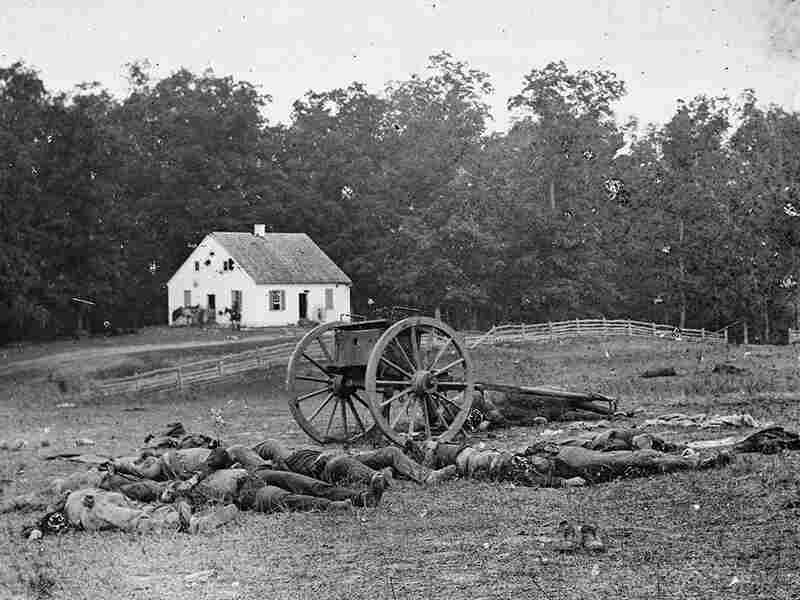 Kee Facts: Antietam 'Death Studies' Changed How We Saw War In mid-September 1862, the Army of Northern Virginia and the Army of the Potomac clashed on the banks of Antietam Creek, just outside Sharpsburg, Md., in a battle that became the nation's bloodiest day. Two photographers documented the carnage in an unprecedented series of "death studies." 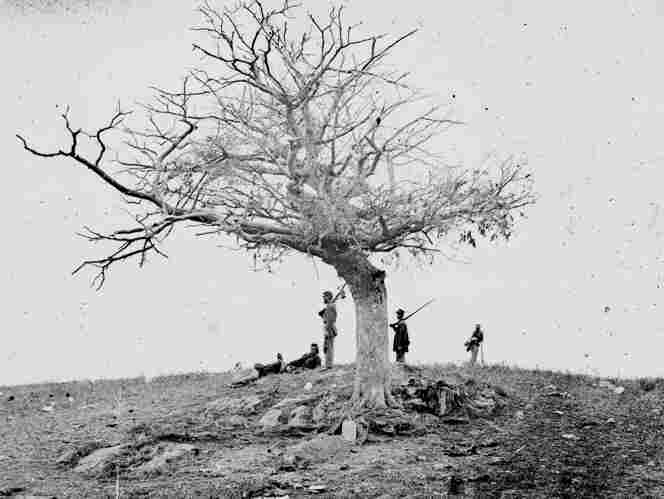 Alexander Gardner's original caption for this image was "A Lone Grave, on Battle-field of Antietam." 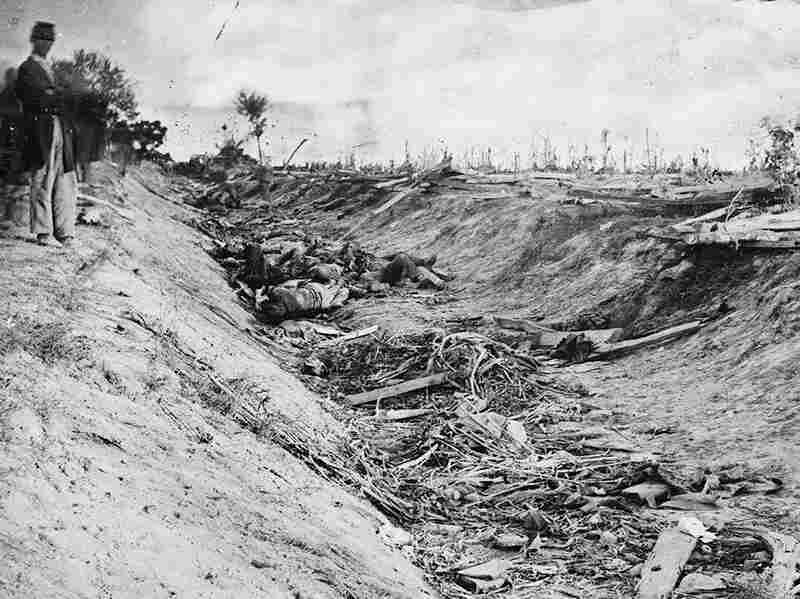 Between two farm fields in Sharpsburg there was a sunken road, which Confederates used as a rifle pit until they were overrun by the Federals and slaughtered. The road has since been known as "Bloody Lane." The area around the white brick Dunker Church was also a scene of heavy fighting. These men had been carried from the places where they fell, in preparation for burial. It took four days to clear all the soldiers' bodies from the battlefield. 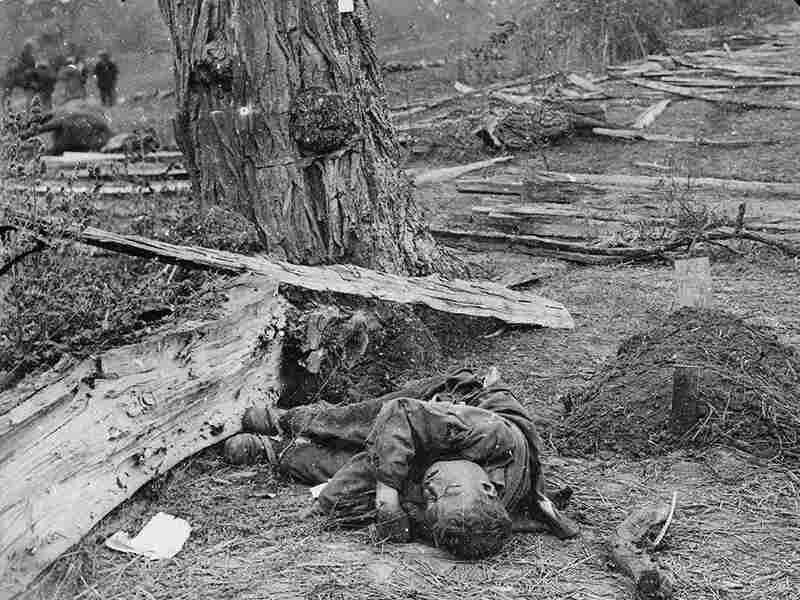 Gardner's caption for this photograph: "A Contrast: Federal buried, Confederate unburied, where they fell on the Battle-field of Antietam." 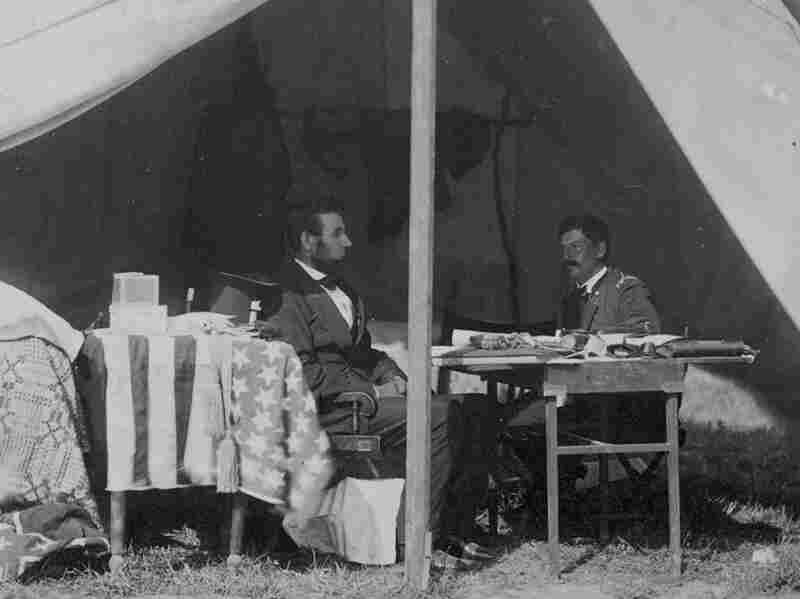 President Lincoln visited Gen. George McClellan at Antietam a few weeks after the battle, urging him to chase and engage Lee's damaged army. McClellan procrastinated, and Lincoln soon relieved him of command. The Civil War continued for almost three more years. NPR librarian Kee Malesky has been dubbed "the source of all human knowledge," saving NPR hosts and reporters from themselves for 20 years. She shares her adventures from the reference desk in a series called Kee Facts. In mid-September 1862, the Civil War was only a year and a half old, and many Americans in the North and the South still clung to the view that this war was a noble, glorious, even romantic undertaking. That notion was shattered forever when Alexander Gardner and his assistant James Gibson, working for photographer Mathew Brady's firm, came to Antietam Creek near Sharpsburg, Md. Robert E. Lee's Army of Northern Virginia and George McClellan's Army of the Potomac had collided there in a battle that was, and remains, the nation's bloodiest day. It was called a Union victory, though the cost on both sides was enormous — 23,000 men killed or wounded. Up until that time, war photography had primarily depicted only the landscape and individual commanders, long after the fighting was done. Gardner and Gibson arrived at the battlefield before all of the soldiers' bodies had been buried, and they recorded a series of what they called "death studies" that, for the first time, showed the bloated, mutilated corpses that are the true aftermath of conflict. The exhibition of those images, only a month after the battle, caused a sensation. A reporter for The New York Times wrote, "Mr. Brady has done something to bring home to us the terrible reality and earnestness of war. If he has not brought bodies and laid them in our dooryards and along the streets, he has done something very like it."